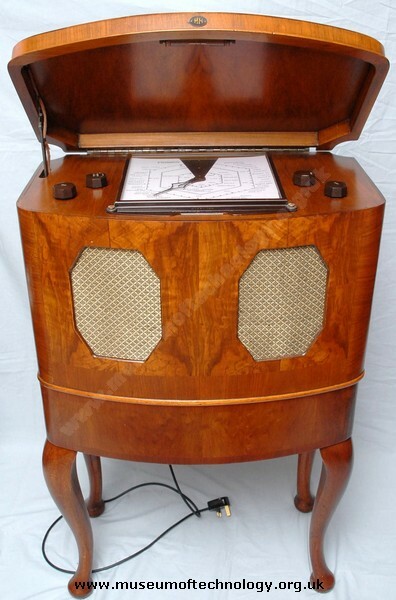 I fondly recall our McMichael 135 radio as it was� my friend� during a rather lonely childhood covering the latter part of the 1940s and early 50s. Hours were spent tuning into the various stations listening to indistinct and remote voices speaking in unintelligible languages. Having few books to read I would spend hours in my private world being captivated by BBC radio programmes. Inquisitive by nature I would frequently probe into the internal workings of the set trying to fathom out how those voices were actually reproduced. For some unknown reason I was particularly fascinated by the detachable cylindrical metal light fitting fixed to the underside of the wooden cover. In later years I would scour the radio shops trying to obtain replacement valves from a rapidly diminishing supply. Just before the set was replaced by a portable Bush model I used it with my Philips reel to reel tape recorder so that I could record the latest pop music. By the way I never was able to permanently tune out that annoying whistle. This is a great looking radio for the era. I have been lucky enough to track one down in pristine condition (like new)with all original parts except for the change of valves and capacitors and fitted new updated wiring to make safe. Love the interior light... great talking point when visiters arrive at the home, nobody talks about a ipod they see around the home, taken for granted! Great to listen to five sport. Will treasure this and hope the family keep it looking just as good into the 22nd century.